There’s nothing terribly new about the confessional as a literary form. It can just as easily appear as swagger as it can an act of contrition, and this book has the flavor of both. Lynn, the protagonist's lover of the moment, acts as the touchstone for painful recollections of relationships gone by. Full of unhealed wounds and populated by the numerous women that interconnect in his memory, in this memoiristic novel the author is at his most brilliant and his least kind. Montauk is messy in the way that psychotherapy is messy, like the gorgeous self-scrutiny of Maggie Nelson or Karl Ove Knausgaard. It’s loving, in its way, and sadly aware of how much time has passed and how badly. Casting himself as both subject and observer, Frisch reflects on his marriages, children, friendships, and careers; a holiday weekend in Long Island is a trigger to recount and question events and aspects of his own life, along with creeping fears of mortality. He paints a bittersweet portrait that is sometimes painful and sometimes humorous, but always affecting. 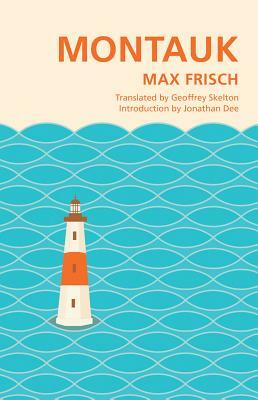 Emotionally raw and formally innovative, Frisch's novel collapses the distinction between art and life, but leaves the reader with a richer understanding of both.